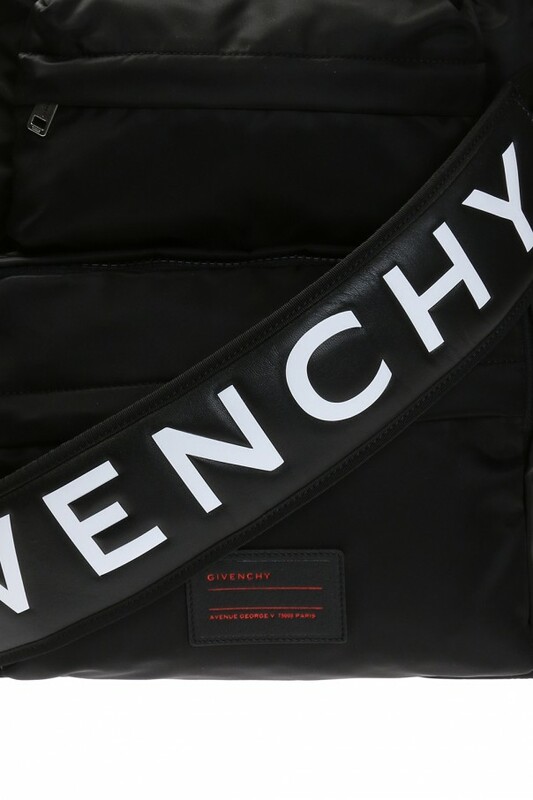 Black shoulder bag from Givenchy. Fastened with a metal snap. 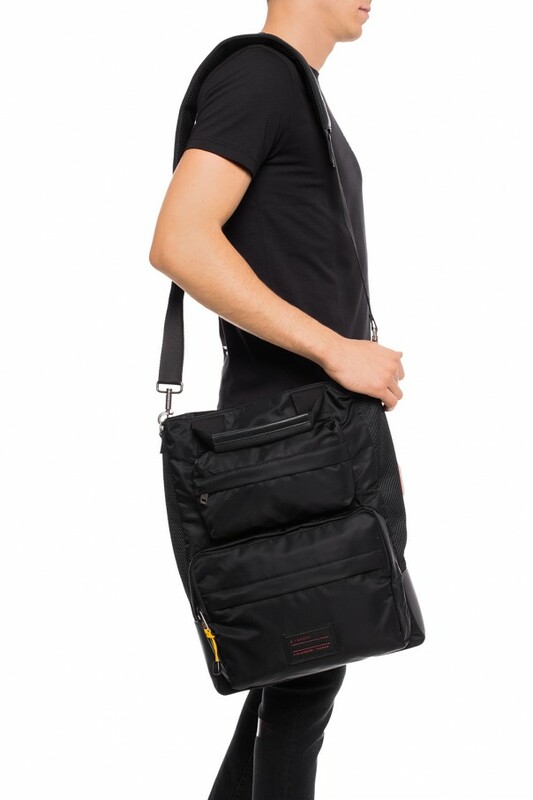 Three zippered pockets: two at the front, one at the back. Decorated with a patch including a red embossed logo. Detachable and adjustable shoulder belt and two half-round handles. Completed with a net. Inside a compartment with a zippered pocket. Metal elements in the color of antiqued gold.